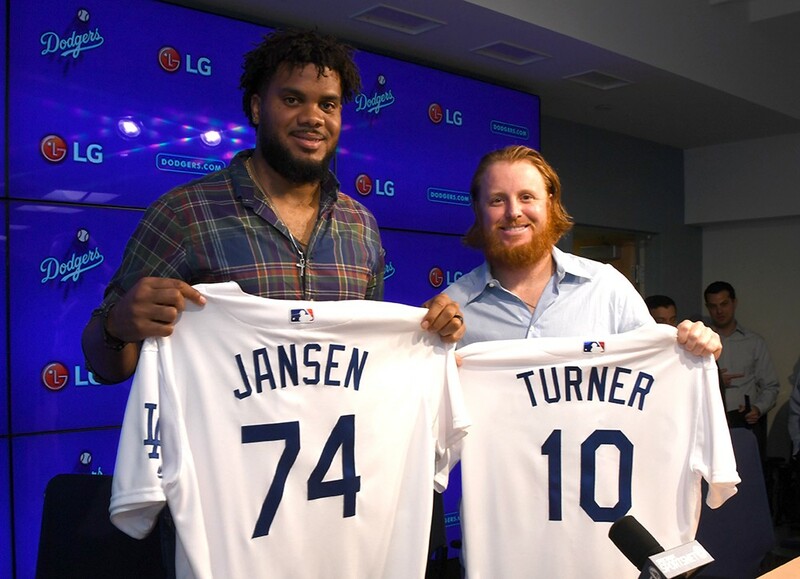 If this offseason, the Dodgers followed up their National League pennant by signing free agents Rich Hill through 2019, Justin Turner through 2020 and Kenley Jansen through 2021 (not to mention adding a 39-homer-hitting first baseman in the process), everyone would be saying it was a huge haul. That’s not an argument to stand pat for the sake of standing pat — nor is it to deny that a trade for a certain Miami outfielder had its appeal — but don’t think less of the Dodgers because they got a big part of their homework done a year ago. And I have to say, I like the mix the Dodgers have for their outfield right now. Yasiel Puig, Chris Taylor, Joc Pederson, Kiké Hernández, Andrew Toles and Alex Verdugo all have considerable upside, with only Taylor arguably playing over his head in 2017. Pederson, who won’t turn 26 until April, might well have had the same growth experience last summer that Puig had in 2016. Through the end of July, Pederson had a .359 on-base percentage, .481 slugging percentage and .840 OPS with a career-low strikeout rate, statistics that got lost in the shuffle when he hit the August skids. Then he came back and delivered an 1.186 OPS in 26 playoff plate appearances. As an alternative platoon partner to Hernández, Verdugo had a .389 on-base percentage for Triple-A Oklahoma City, ninth in the Pacific Coast League (despite being its second youngest player), walked more than he struck out and boasts a plus arm. And before he ripped his knee ligament trying to preserve a Julio Urías no-hitter in April, Toles was tied for the Dodger team lead with five homers. All due credit to Milwaukee, which led the NL Central at the All-Star Break and finished with 86 wins last year. By acquiring Christian Yelich and Lorenzo Cain in one afternoon, the Brewers have definitely made their 2018 a lot more interesting. But it’s not nothing that the Dodgers are adding Verdugo and Toles to an outfield that, following Toles’ injury, won 95 games without them. 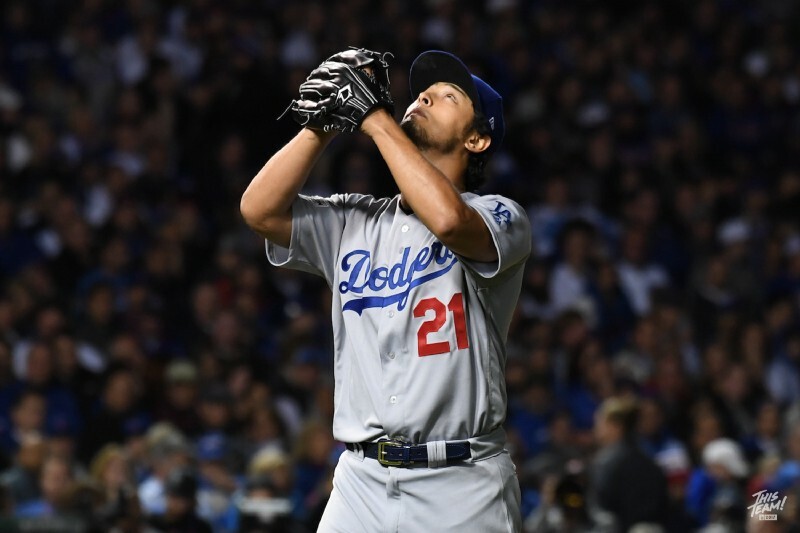 In adjusted OPS last year, the Dodgers finished second in the NL (behind now-depleted Miami) with an offense whose two oldest starters were only 30 and 32. You always look to improve, but they remain in good shape.